Are you looking for a fun summer or weekend tie dye project? Here at the iLoveToCreate blog, we've got ya covered! 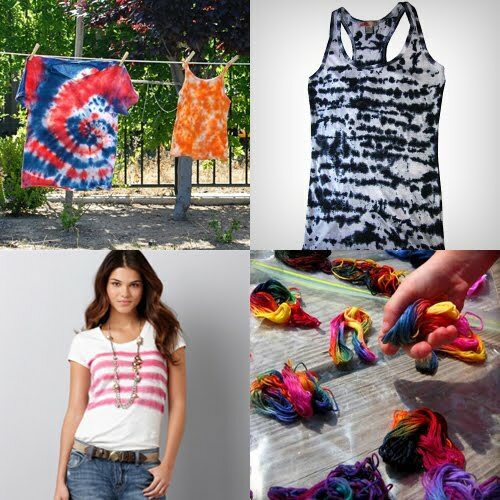 Here's an awesome serving of 12 really cool tie dye projects for you to try. 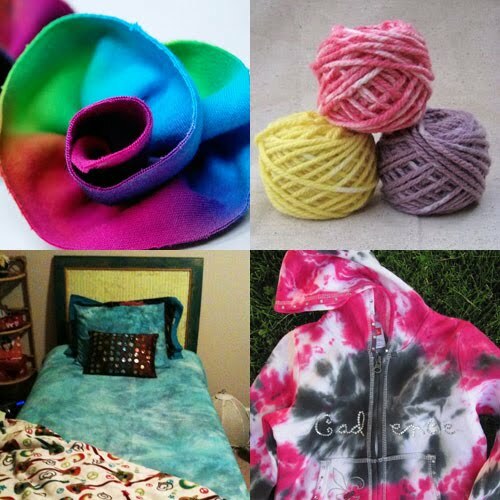 From traditional tie dye techniques to dyeing yarn and revamping your existing clothes, here's some great tie dye projects that you can create in just a few hours! Tie Dye Bedsheets by Glitter, Glue, GLAM! Ann Taylor DIY Tie Dye by Diapers Deadlines DIY. 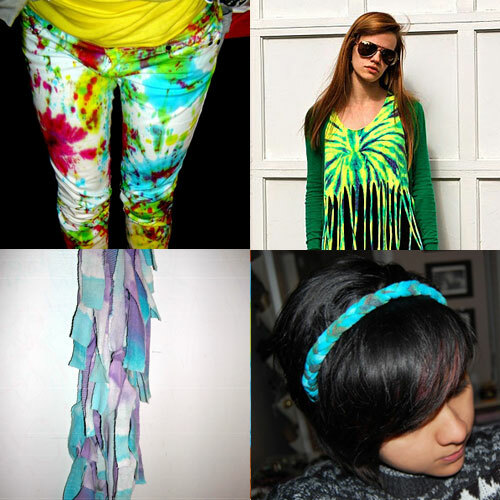 DIY Tie Dye Scrap Scarf by Cutout and Keep user Deeny! Hope you are inspired by these projects! Now it's time to get outside and tie dye!! Craft on! Click here for today's daily giveaway! Very nice! I am looking for this type of info and sometimes I get lucky like today. Thanks for your post.